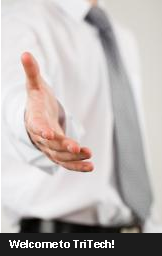 Three more premium tax giants join TriTech’s already impressive reviewer ensemble. We are pleased to welcome Bruno Reale, Jim Lee, and Jay Nolan to TriTech Services. As we approach the tax filing season, we are more confident than ever that we are providing the best of the best in premium tax compliance services. Bruno Reale has spent 33 years of his 38 year career at New York Life Insurance Company. Bruno has been preparing tax returns since 1981 and has been managing state & local tax work since 1996. He obtained a BA in Economics & Sociology from Queens College in 1975 and subsequently obtained an MBA in Accounting from St. John's University in 1984. Bruno became a member of the ACLI Premium Tax Compliance Service in 1990, and was its Chairman for over 10 years. Bruno retired in June 2014 as Corporate Vice President - Tax Accounting. Jim Lee spent the first 25 years of his career with Atlantic Mutual Insurance Company in New York working in various areas including A/P, Accounting, Reinsurance, Treasury, Budget and Planning as well as Tax, while also attending Pace University in the evening working towards an accounting degree. Jim has spent the last 17 years managing the state and local tax group at Crum and Forster. Jim and his wife Teresa have been married for 33 years and have two grown children and one granddaughter. Jay Nolan graduated with a BS in Accounting from Seton Hall in 1973 and he completed his education with an MS in Taxation from Seton Hall in 1986. He obtained a NJ CPA license in 1980. Jay also began working on federal and state taxes at Crum and Forster in 1980. He worked at Home Life Insurance Company from 1989 to 1992. When Home Life merged into Phoenix Life Insurance Company in 1992, he assumed oversight of state and local taxes for the merged company. In 2007 Jay relocated to New York to oversee the state tax function for AXA Equitable Life Insurance Company. Jay has been a frequent speaker on premium tax matters at the National Premium Tax Conference and was a longstanding member of the ACLI State Tax Committee. What’s New with Premium Pro? Give us a call for more information about our services and products. Visit us on the web at www.tritechsoft.com. See what's happening at TriTech!! Check out TriTech’s Facebook, Twitter, or LinkedIn page to stay connected and see what’s going on at TriTech. 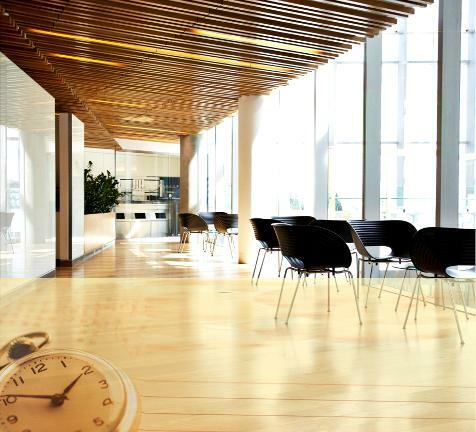 We share our in-office employee events, as well as industry news and Premium Pro and TriTech Services info. Premium Pro has new product options that aim to deliver our software in ways that may work better for your company. To find out more about any of our products or services, visit www.tritechsoft.com or give us a call at 800-380-6407. TriTech continually strives to provide a better product for our clients. These features are designed to improve your experience with Premium Pro. You can look for these handy enhancements when you update to the 2014-15 software. The Attach to feature allows you to print an item, such as a credit worksheet or return, directly into the Attachment Frame of another return. This means you do not have to print an item to PDF, save it, and then open the Attachment Frame and attach the PDF. You can simply print the item straight to the Attachment Frame. There is now an easy way to view important items that may need to be addressed before processing and completing a return. Return audits are now available via the Audit Frame, which you access and view just as you do the Attachment Frame and Return Instructions. We have made some visual enhancements as well to help you navigate the software. For instance, if there are no instructions for the return that is currently open, there will be a red X through the Return Instructions icon. And a visual indicator, a green e, will appear beside the return name in the active tree for electronic filings that have been successfully transmitted. Also, you may view read-only versions of the Premium Tax Annual Schedules from the FormsPlus module so you don’t lose time switching between modules. We are also continually working to make the efiling process easier and more streamlined. Confirmation emails will be sent out for all electronic filing submissions through the software. When using the Efile Assistant, both failed and successfully transmitted electronic filings will be noted in the Actions report. Recent headlines have reminded us that it is indeed hard to be human. But here at TriTech, bright spots in our humanity continue to uplift us. Some TriTech employees have been busy making the world a better place, while others are inspiring us with their personal aspirations. Sally Agreda, TriTech tax preparer, and Kassidy Stroup, former TriTech administrative assistant, recently returned from a mission trip to Panama to spread the Word of God and help build a Youth with a Mission base to serve the local community. TriTech customer service rep Karen Sourber’s daughters, Faith and Julia, went to Ecuador on mission focused on giving the tribal children unconditional love while sharing the love and salvation offered by God. 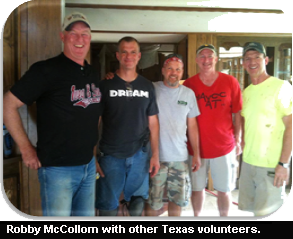 Robby McCollom, TriTech President, and his son Colton kept it closer to home by doing construction work for a nonprofit Arkansas organization called S.T.A.N.D. that gives troubled women a free place to live, and helps them get a G.E.D. and learn teachings from the Bible. 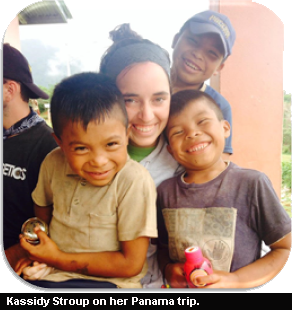 Sally was reported to be the best translator on the Panama trip, while Kassidy Stroup was touched by the simple happiness that each child possessed that just doesn’t exist here in America. “I remember hiking with an indigenous boy named Carlo and he stopped us in the middle of our hike and picked up a string that was lying on the ground. He had the biggest smile on his face and you could just see how much joy he had with nothing. Every child was like that! It didn’t matter if they were climbing on our backs or dancing with us or us just talking to them. They were the happiest kids I have ever met,” Kassidy said. Faith and Julia Sourber braved the area of Ecuador where the famous missionary Jim Elliot was killed in the 1950’s when attempting to reach a tribal people for Christ. He, his pilot and three others were killed by the tribe. The tribal people were later reached by Jim Elliot’s wife and are now Christian due to her willingness to forgive and still be used by God to reach the very people who killed her husband. The children were so eager to join the camp that most of them traveled by themselves through the jungle or mountains and by boat across rivers over several days to attend. Faith and Julia can’t wait to go back and want to intern themselves so they can stay much longer. 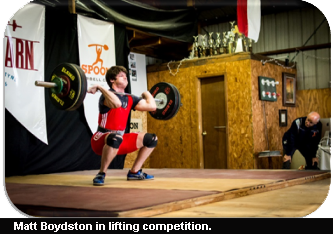 Matt Boydston, new to TriTech’s Premium Tax group, is currently training as a weightlifter for the 2020 Olympics in Tokyo, Japan. 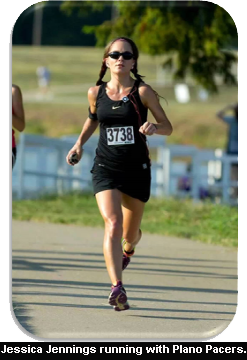 Jessica Jennings, TriTech software developer, is an accomplished runner and has qualified to run in the Boston Marathon. Matt trains six to seven days a week, between two and three hours a day. He first began training specifically for weightlifting sometime around July of 2014. Based on history, the United States will most likely only be able send one or two weightlifters to the 2020 Olympics. Matt must at least double both of his best in-competition lifts to have a chance at going to the Olympics. This goal may seem impossible to some, but Matt’s determination does not waiver. Jessica had been running for about five years when she found herself in Reno, NV last year for Premium Pro training and the National Premium Tax Conference. While there, she entered her first full 26.2 mile marathon. She did not have the Boston Marathon in her sights at all because she didn’t dream it was even possible for her to qualify. Her goal was to just finish the race, but she still gave it her all. “I have found that most athletic activities, including running, really are mind over matter. Your body will do a whole lot more than you think it will if you just don’t give up,” said Jessica. Our mailing address: 1205 S. Greenville Ave., Allen, TX 75002. Questions? You can reach us at 1-800-380-6407. This email was sent to you because you requested that we contact you about Software Updates and Special Offers from TriTech. to unsubscribe call us or click here. ©1995-2013 Tritech Software Development Corp. ©2006-2013 Tritech Services Inc. All rights reserved. Premium Pro® is a registered trademark.